Cape Breton Island is a simple place. If you don’t live on the island, or near it, chances are you’ve probably never even heard of it, even though National Geographic named it as one of their 20 Best Trips of 2013. Admittedly, had my wife not grown up on Cape Breton Island, I never would have heard of it. And if I did—probably in passing—I certainly would never have visited. It’s a hard place to get to—you either fly into Sydney, which has no direct flights from the US and can sometimes take all day, or you can fly into Halifax and drive for a few hours. Regardless of which option you choose, renting a car would be a requirement. If you do take the trip, though, you will be rewarded for your hard work. Cape Bretoners are a hardy bunch of people—they’ve suffered the loss of their coal mining, steel, and fishing industries (and without much other industry to fall back on) and have to weather some intense winters—but they are some of the nicest people you will ever meet. Everyone is willing to help, and everyone is up for a chat, no matter who you are or where you’re from. 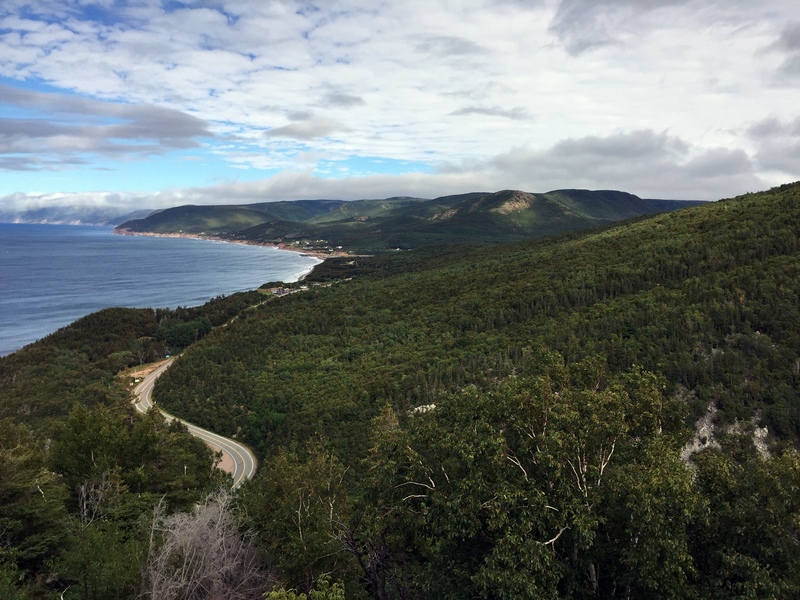 If you don’t have family on the island, chances are you’re going for the Cabot Trail, a 185-mile scenic highway around the northern tip of the island that just might include some of the most beautiful coastlines and scenic vistas in the world. The trail can be driven in as little as a day, but with multiple campgrounds, as well as hiking trails of all lengths and difficulties, a long weekend or even an entire week would be more appropriate. Another thing Cape Breton has going for it is food. Since it’s in the middle of the ocean, seafood is a necessity, and with all the regular items you’d expect: massive lobsters, cheap mussels (they’re regularly about $.99 a pound at the store), and fish and chips (but only get it with haddock, the way god intended). There are also plenty of Canadian delicacies to indulge in as well: poutine—with curds (the right way) or with shredded cheese (the passable but wrong way), Tim Horton’s coffee, and All Dressed potato chips. The island also has some items that are distinctly its own. Be sure, for instance, to make time for a pizza night while you’re there. Order a “Combination”—that being pepperoni, mushroom, and green pepper. The ingredients aren’t anything special (well, they are, because it’s a perfect pizza), but just the fact that they’ve got their own name is excellent. Come on, America. You can also get a side of donair sauce for your crust, which is basically condensed milk, garlic, and sugar. It’s sweet, garlicky, and thick and rivals only Ranch dressing as the best thing to dip pizza crust in. You can even get an entire donair pizza, which is basically a doner kebab in pizza form. 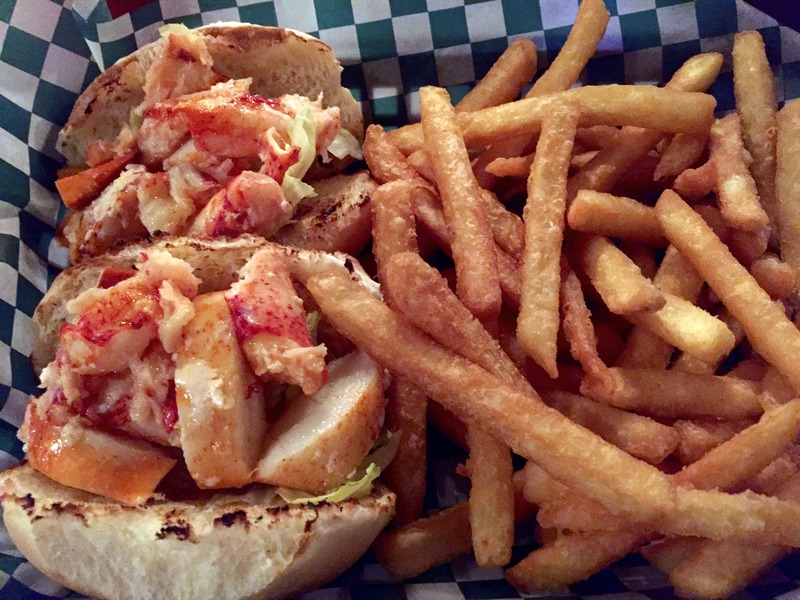 Lobster Pound and Moore (North Sydney) – A bright touch of finesse in the middle of the down home working class, Chef Rich Moore cut his teeth in British Columbia before coming back to Cape Breton to set up shop. The small place specializes in seafood, but you can also get some good-looking meat and potatoes as well. If you’re in for the lobster dinner, be sure to call ahead, and be sure to bring a friend, as the lobsters average 2+ pounds. Big Spruce Brewing (Nyanza) – If you’re heading onto the trail and need some liquid sustenance, swinging by the brewery and filling a growler or two is your best bet. It doesn’t hurt that it’s some of the best craft beer in Nova Scotia. Before you leave grab a quick pint, or a four-beer sampler, and sit in the tasting room to enjoy the view. The Dancing Goat Café & Bakery (Margaree) – This sandwich and soup shop and bakery is the perfect spot to stop before heading on to the trail. The soups, which are changed daily, are delicious (their corn chowder is raved about and the curry sweet potato was excellent). The sandwiches, which seem somewhat normal—a BLT with avocado, egg salad, ham—are filling as well as comforting. Be sure to get a blueberry scone with lemon icing if they have it, or just grab a maple shortbread for the road. The Rusty Anchor (Pleasant Bay) – There are few places to eat this far into the trail, and the Rusty Anchor is the best of them. You won’t get anything fancy, but what you will get are goodly portions (which you’ve earned with your hiking, no doubt) of delicious food. The lobster roll (mentioned in National Geographic) is made the way they should be—a drizzle of butter and that’s it—and the fish cakes brought back childhood memories for my wife. If you want a good starter, grab their Ziggies (nuggets of haddock and cod)—basically leftover fish pieces deep-fried and served with cocktail sauce. Delicious. The Seagull (Ingonish) – The first place I ever ate on the trail, and I still yearn for it. Their fish and chips haunt my dreams, and their poutine was second-to-none. It’s just a building facing the water, with plastic table cloths and folding chairs inside, but don’t let the décor fool you. Eat here. Coastal Restaurant (Ingonish) – Another alumni of “You Gotta Eat Here!”, the Coastal speaks more to the gastropub vibe Philadelphians will know and love. They’re known for their burger, but with Canadian rules requiring ground beef be cooked well, I can never bring myself to order a burger in Canada. 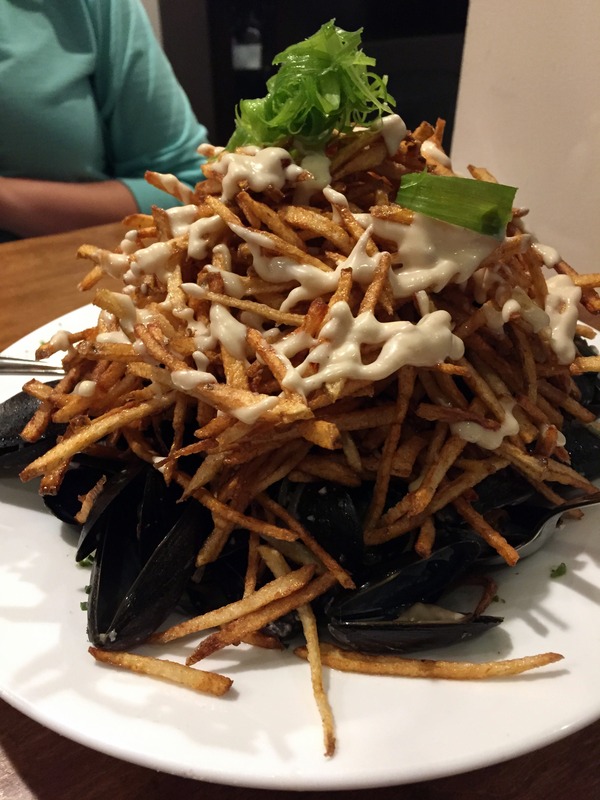 Instead, go for the fish and chips, or their massive bucket of mussels. The onion rings with their special sauce—another thing their known for—are also a must-order. There are plenty of places to eat on Cape Breton Island, and these are just a few of our favorites. If you’re going to visit, the weather will be more enjoyable during the summer, but the scenery at the end of September/beginning of October when the leaves begin to change is incredible. This also coincides with the Island’s Celtic Colours Festival, a week-long celebration of their Celtic heritage. Or you can go in the summer and get on a team for the Cabot Trail relay, which runs the entirety of the trail in 24 hours. It may be out of the way. It may be hard to get to. But Cape Breton is well worth the visit. Even if you spend your time on strenuous hikes along the Cabot Trail or running around it, it will be one of the most relaxing vacations you’ll have. And one of the most delicious. 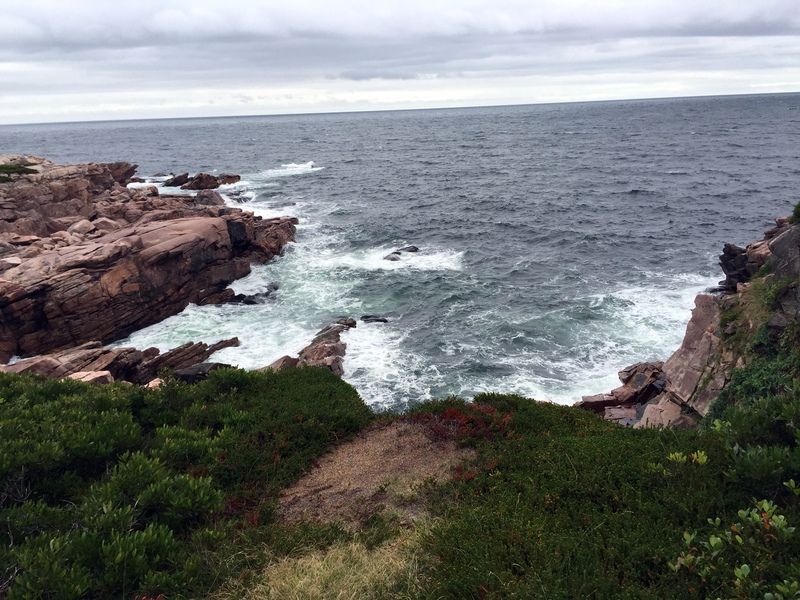 This entry was posted on October 2, 2015 by Ryan in Travel and tagged cabot trail, canada, cape breton island, poutine, travel.